Bluffing is a popular move by many poker players. Beginners who often overuse bluffing lose a lot of money because of that. If you want to become a professional Texas No-Limit Holdem player, you have to restrain yourself from bluffing too many times. In this tutorial, you will learn why you should bluff in the first place, how to pull off the perfect place, how frequently and when you should bluff. Why should you bluff in Texas No-Limit Holdem poker? Bluffing gives you two benefits. First, it allows you to take down pots, which you would not have won in the first place, by demonstrating a much stronger hand than you hold. Secondly, it gives you an aura of unpredictability in your poker play. Your opponents in Texas No-Limit Holdem will have a difficult time to determine if you are playing a strong or weak hand at any given moment. 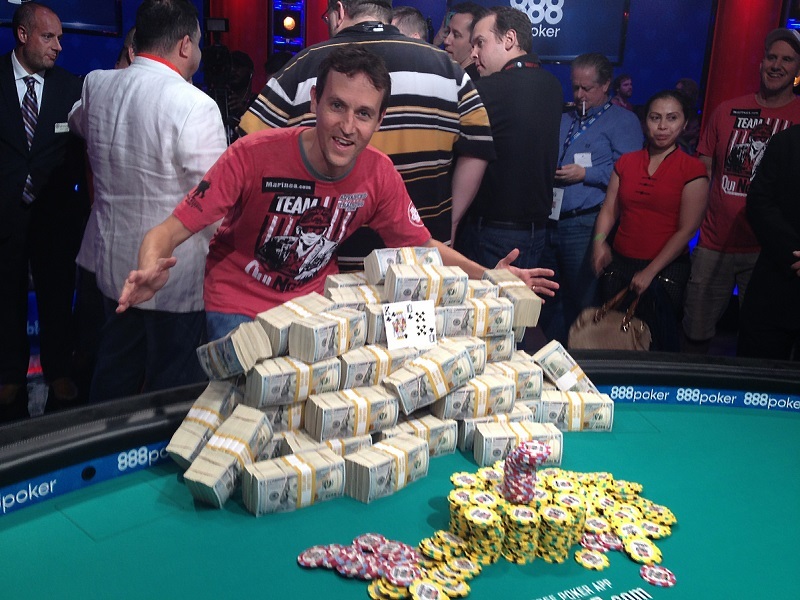 How to pull off the perfect bluff in Texas No-Limit Holdem poker? It is also important to have the image of a tight aggressive player with a mix of unpredictability. The tight-aggressive image will make your actions more believable. Take into consideration your opponents style of playing. How did they react to signs of strength in the past? Did they often limp and then fold on a raise? A bluff works better against more predictable opponents. It is important to align your bluff with the board cards. Take a look at which hand combinations are possible with a given board. If your opponents believe that your two cards could complete a strong hand, and this hand would be stronger than their hand, they are more likely to fall for a bluff. A very important factor in bluffing is position. If you are in a late position, you can see whether or not they play weak (for example by checking). Remember: The more convincing your bluff is, the greater the chance of it working out. Bluffing is a very strong offensive strategy, but only if used in the right situation at the right time. If you bluff too many times, you will lose credibility and increase the probability that someone might call your big bluff the next time. It is better to wait for a good bluffing opportunity, instead of actively searching for them. You should only bluff when you are confident that your opponent will fold. It is also better to bluff at smaller pots than it is at larger ones. This will drastically reduce your risk in bluffing. Bluffing on the flop can be very effective because most players completely miss the flop in two out of three cases. Of those who hit the flop, many with weak or mediocre matches will fold if they face too much resistance. You should almost never bluff on the river. 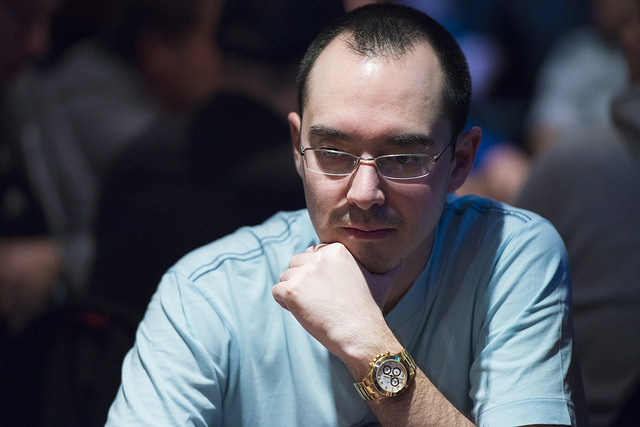 Often a river bluff looks like a desperate attempt to win the hand and will get called by other players frequently. Bluffing is a great tool, to take down pots that you could not win by the strength of your hands. It will add a factor of unpredictability to your game. A tight-aggressive playing style is most effective for bluffing because your opponents will trust you more easily if you play a hand strong. Pay attention to your opponents playing style. Only bluff if they easily fold on signs of strengths. Look at the board and consider possible hand combinations that your opponents might believe you have. Try to bluff only from position to maximize your return. The more believable your bluff is, the greater your chance of success. Only bluff in the right situations at the right time. Bluffing too many times will increase the odds that someone will call your bluff. Wait for a good bluffing opportunity. Only bluff players that are likely to fold. Focus on smaller pots, only bluff on the flop and never on the river. In a satellite tournament, I have about 85k with blinds of 1k/2k and 200 antes. Folded around to me on the button and I raise to 4200 with J10 off. BB calls and the flop comes KQ6 with two hearts. BB checks and I bet 3.5k BB calls. Turn is a 6 and we both check. River is an 8, BB checks, I bet 7.5k. After tanking for two minutes, BB calls with pocket threes. Could I have played this hand better. I felt the bluff on the river was well placed against a shorter stack as if he had to be right to make the call and if wrong, he was crippled. As I was one of the big stacks in the tournament, should I have coasted through a couple of levels or continued my aggressive play where I never showed down a weak hand. They paid 16 and I finished 28 after having my aces cracked to a flush hitting on the river. I would give myself an 85 for my play, i might have been a tad too aggressive when i had the big stack. In the past, I have usually gone very deep in most events, final tabling many times but always with a short stack. I recognized that I needed to really mix things up to have more ammunition for later levels and it was working. Suggestions please….